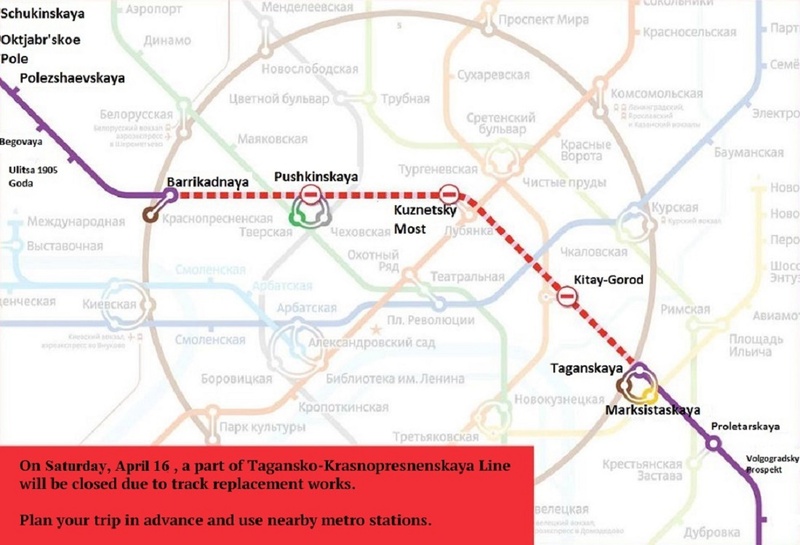 The transition between metro stations Novokuznetskaya and Tretyakovskaya of Kalininskaya line changes from May 13 to June 18. 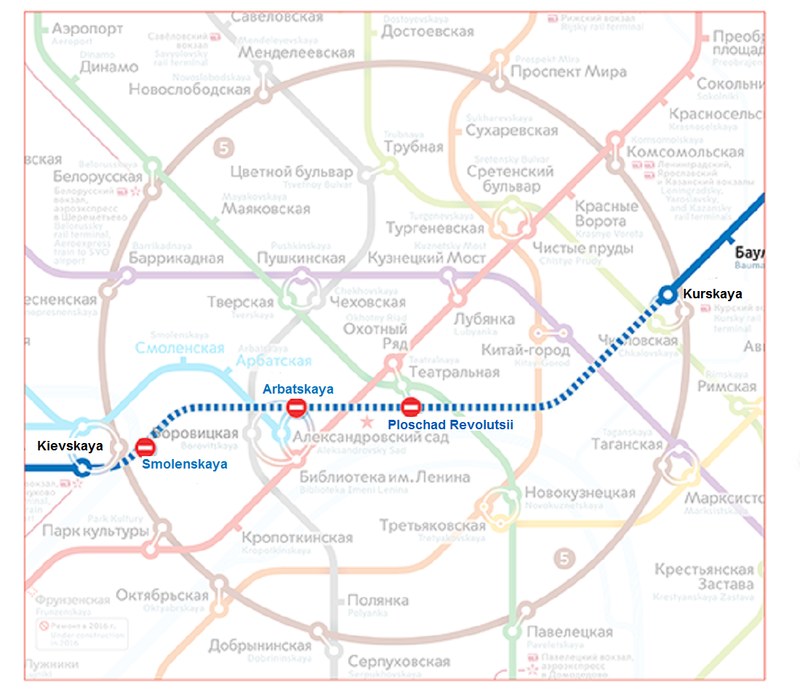 These days from 08:00 to 10:00 and from 17:00 to 19:00 escalators of the transition between two stations will only go up. 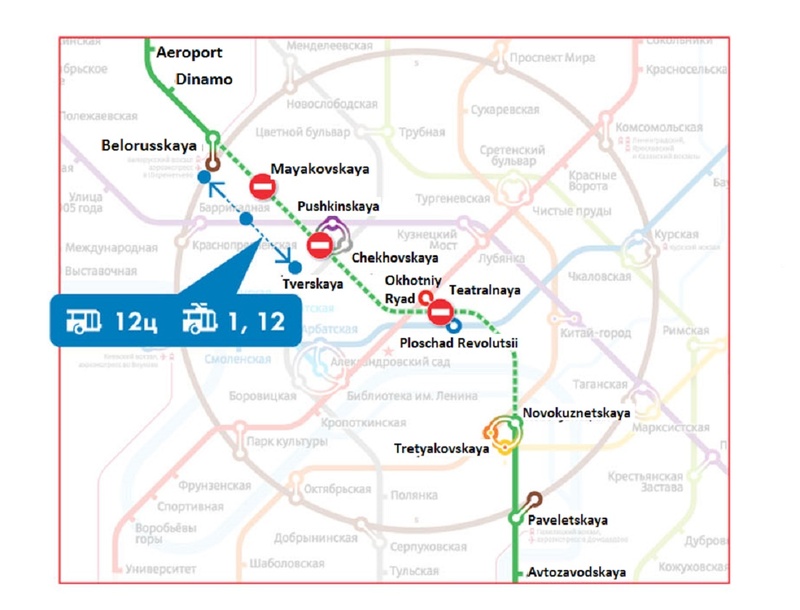 Passengers are asked to pass through the station Tretyakovskaya of Kaluzhsko-Rigskaya line (south station hall). 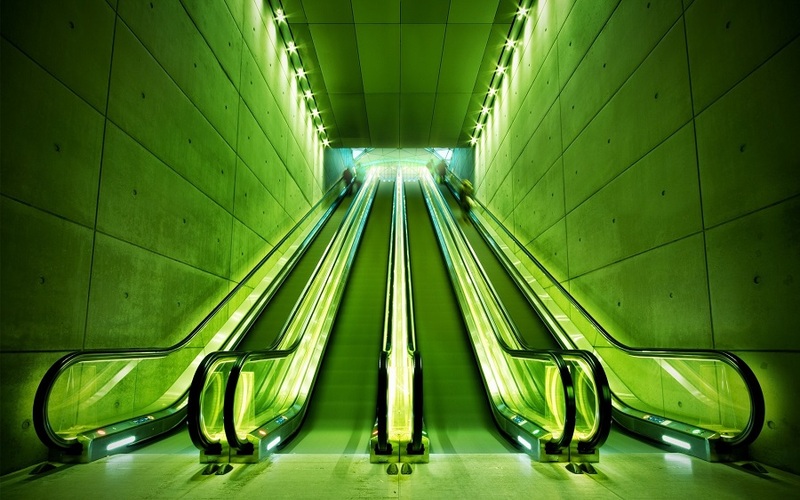 The reason for changing is the repair of the escalators.